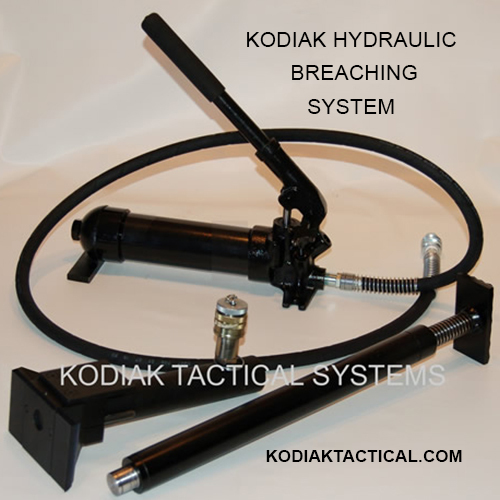 Kodiak Multi Hydraulic Breaching kit is a multi use tool that allows for either powerful jamb spreader action or door pushing force from a single tool !! Unique snap together design converts the Bear Claw door pusher into a full width jamb spreader. 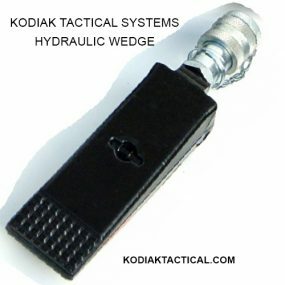 Designed to spread wood and metal door jambs. 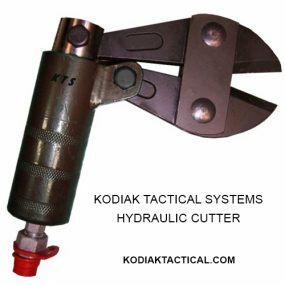 Compact and easy to use, Multi-Hydra adjusts from a small 26” doorjambs up to industrial size 41″ doorways. during operation of the pump.